The Homeland Security Advisory System is a system for measuring and communicating the terrorist threat level in the United States. A color-coded Threat Level System is used to communicate the threat level to the public so that protective measures can be implemented to reduce the likelihood or impact of an attack. The higher the Threat Condition, the greater the risk of a terrorist attack. Risk includes both the probability of an attack occurring and its potential seriousness. The terrorist threat level is elevated when specific information about a threat to a particular sector or geographic region is received. Threat Conditions may be assigned for the entire Nation, or they may be set for a particular geographic area or industrial sector. 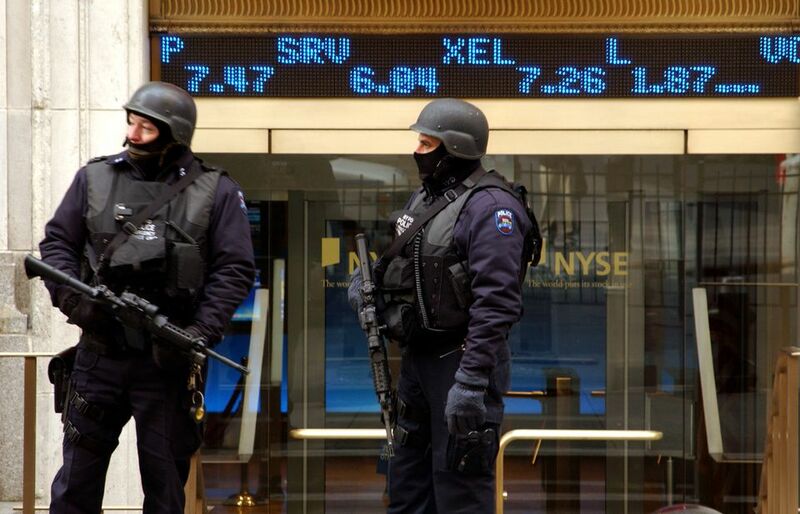 New York City operated at an Orange (High) threat level for a long time after September 11. The following is a summary of the different terror alert threat levels, along with recommendations from the U.S. Department of Homeland Security for responding to the different threat levels. This condition is declared when there is a low risk of terrorist attacks. Develop a family emergency plan. Share it with family and friends, and practice the plan. Create an emergency supply kit for your household. Be informed. Visit Ready.gov or obtain a copy of “Preparing Makes Sense, Get Ready Now” by calling 1-800-BE-READY. Know how to shelter-in-place and how to turn off utilities (power, gas, and water) to your home. Examine volunteer opportunities in your community, such as Citizen Corps, Volunteers in Police Service, and Neighborhood Watch and donate your time. Consider completing an American Red Cross first aid or CPR course, or Community Emergency Response Team (CERT) course. This condition is declared when there is a general risk of terrorist attacks. Complete recommended steps at the level green. An Elevated Condition is declared when there is a significant risk of terrorist attacks. Complete recommended steps at levels green and blue. Ensure disaster supply kit is stocked and ready. Check telephone numbers in the family emergency plan and update as necessary. Develop alternate routes to/from work or school and practice them. Continue to be alert for suspicious activity and report it to authorities. A High Condition is declared when there is a high risk of terrorist attacks. Complete recommended steps at lower levels. Exercise caution when traveling, pay attention to travel advisories. Review your family emergency plan and make sure all family members know what to do. Be Patient. Expect some delays, baggage searches, and restrictions at public buildings. Check on neighbors or others that might need assistance in an emergency. ﻿A Severe Condition reflects a severe risk of terrorist attacks. Complete all recommended actions at lower levels. Listen to local emergency management officials. Stay tuned to TV or radio for current information/instructions. Be prepared to shelter-in-place or evacuate, as instructed. Provide volunteer services only as requested. Contact your school/business to determine the status of a workday.